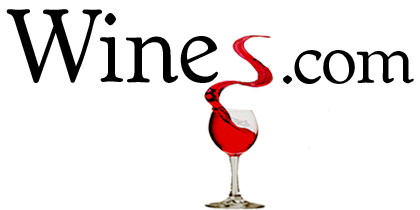 What a week it has been in the wine blogosphere. A potential wine legal development – namely, House Resolution 5034 – has achieved what recently has seemed totally impossible: bi-partisan support in Congress. HR 5034 has pretty much gone viral on the internet. Both are worthy of attention, of course, but let’s concentrate on #2. There’s a lot of spin going on on multiple fronts regarding HR 5034, and there seem to be two camps developing: the “this bill will destabilize the atom when it comes to direct shipping of wine and will end all freedoms that consumers have in terms of getting wine shipped to their door” camp, and the “this bill hardly makes any changes to the law so what’s the big deal” camp. I’m going to attempt to simplify the debate and also explain why the debate doesn’t matter and why you should write your congresspersons to tell them not to support the resolution. Depending on with whom you talk, this change will either cause a domino effect of wholesaler and distributor monopolies challenging states that allow direct shipping – and therefore result in severing limiting YOUR ability to have wine shipped to your door – or, it’s a superfluous change because it’s text is minor and there’s little change of enforcement anyway. So… if the Resolution is potentially negative for consumers it’s not a good idea to pass it, right? And if it’s superfluous, then it’s not a good idea to pass it because we’ve got enough superfluous laws on the book already and adding more would simply make the laws more confusing, right? So… logically… we should just tell our congresspersons to shoot this one down, right? The way I see it, no matter how you look at it, HR 5034 is crap and needs to die, even if it succeeded in achieving the impossible (Republican and Democratic congress members working together). So… go write those congress members, already!